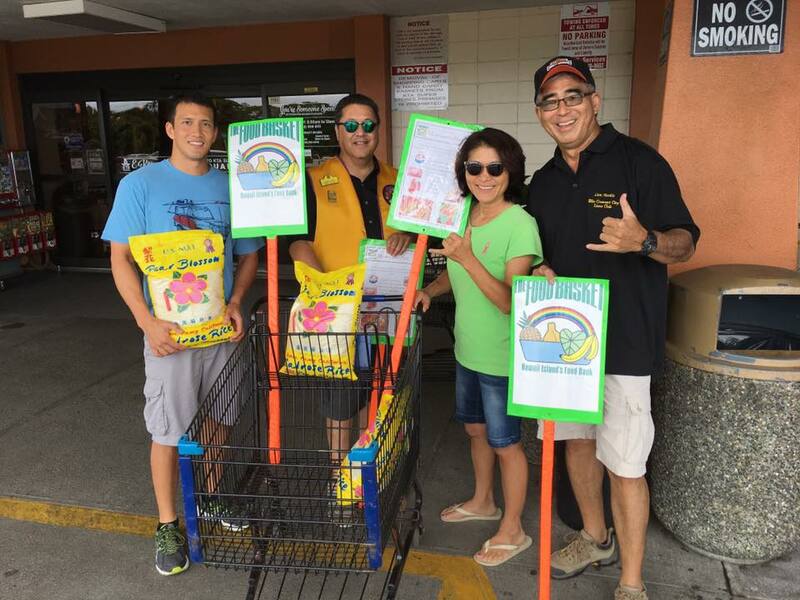 Join us at our monthly meetings and our food drive service projects (1st Saturdays at KTA Puainako, 10am-1pm). Photo: Left to Right, Lion Charles, Lion Greg, Lion Sakoda, Lion Dwayne. Hilo Crescent City Lions at our Monthly Food Drive for the Food Basket @KTA Puainako - July 1st, 2017. We collected 120 lbs. of Food and $100 of Monetary Donations. Mahalo, Hilo, Hawaii.